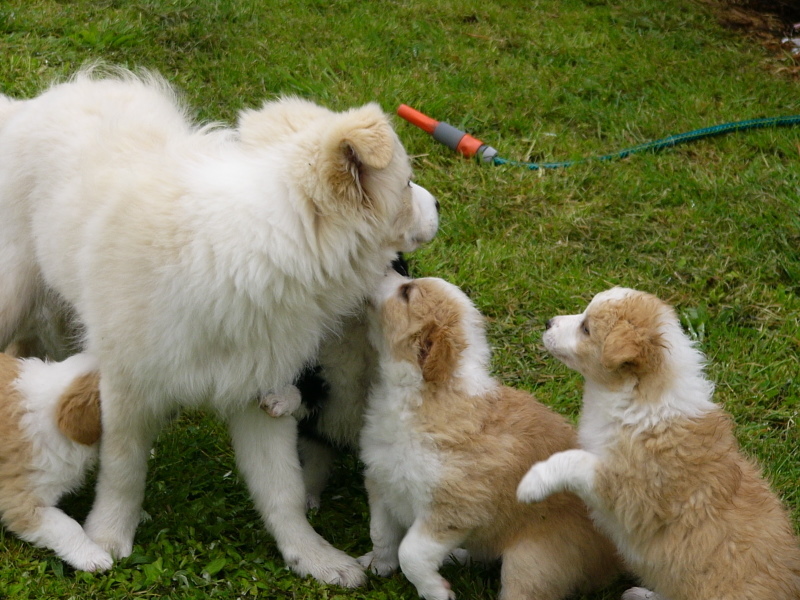 Talk about time wasters.. All so very cute & it is pretty cool watching an older pup be so gentle & Tom (now 4months) certainly loves getting in & playing with the pups. 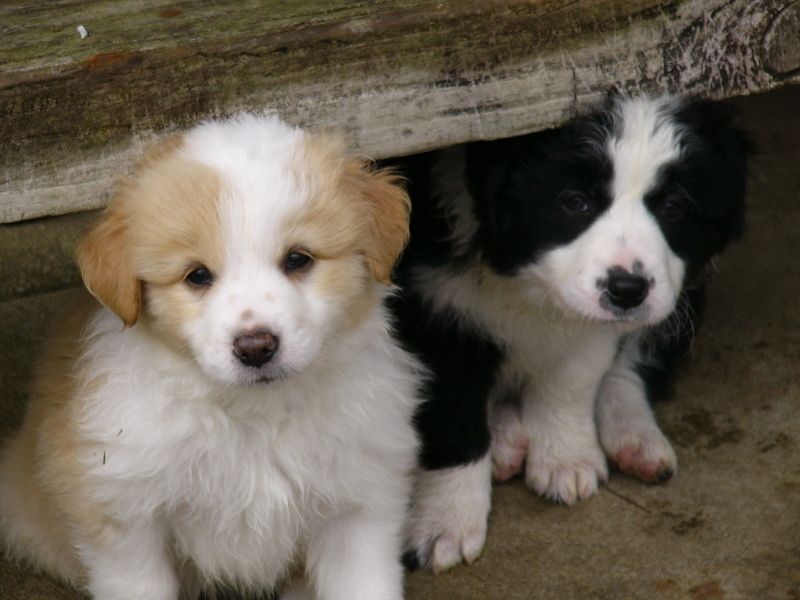 It is hard to believe these guys will actually be Tom’s size in a couple of months. They grow way too fast. I have pups still available so please email for more info..
We really enjoyed having a visit from Toms sister Riley & brother Alfie. 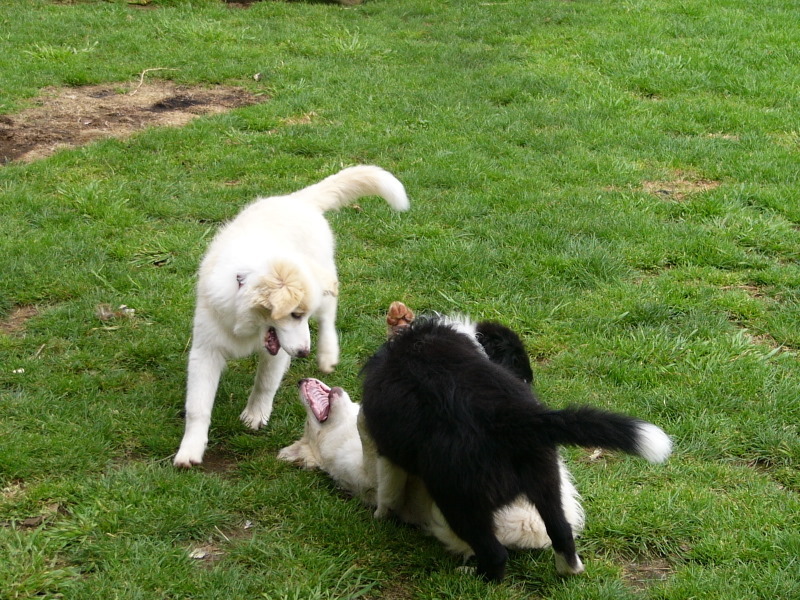 They all got on really well & had a great time playing & hooning around. Photos below.. times like this make breeding very rewarding. 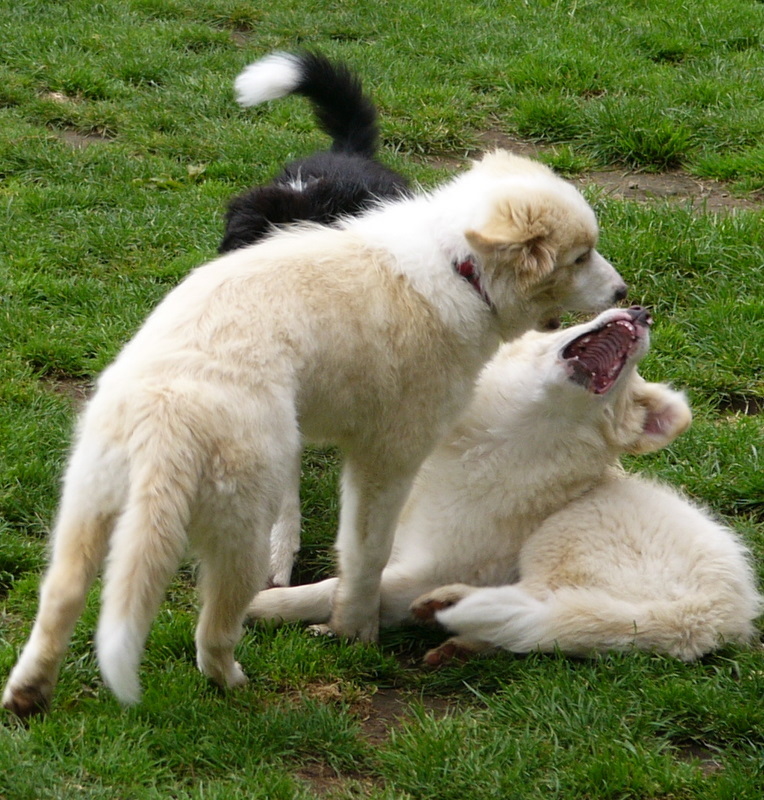 Thanks to Pat for the photo sent of two of our grown Tylerwild dogs River & Skye . 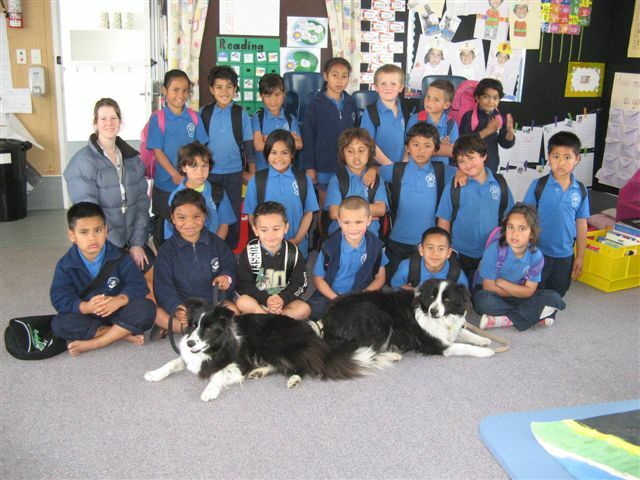 They had a school visit to Michelle (Pat’s daughter) who was teaching animal control at Papatoetoe school. 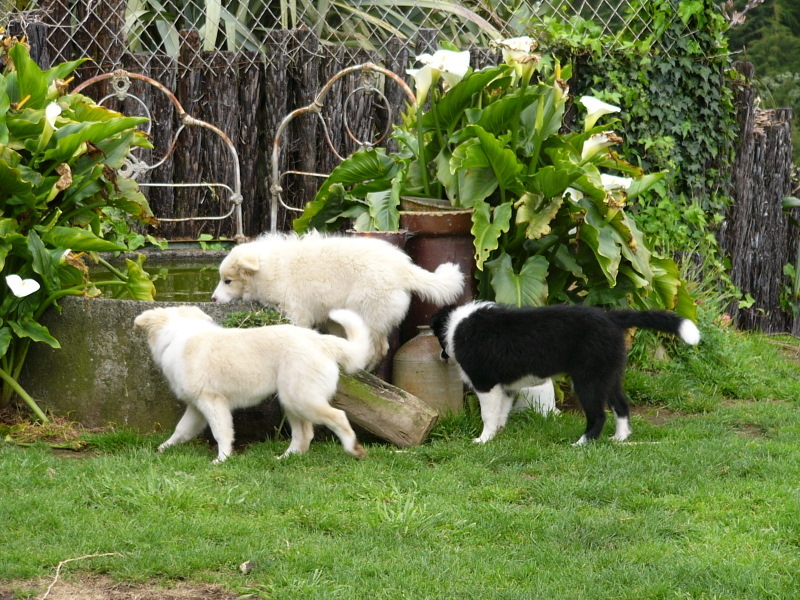 All enjoyed the dogs visit..